Being a leader is both a big responsibility and a difficult task. We are passionate about supporting the leaders of gospel churches in Wales to better serve their people. Our conferences are for leaders whose heart and passion is for the gospel and aim to be a great time of encouragement and help to minister the gospel today. They are a marvellous opportunity to join with other Bible-believing, cross-centred and Christ-loving leaders from across Wales and the UK for prayer, ministry and fellowship. As with all EMW events there is a strong emphasis on both the word and spirit – we believe true Christianity is both Biblical and experiencial, and our conferences reflects this. Below is a list of the conferences and events we run for leaders. We hope that you will find all the information that you need in these pages, but please feel free to contact us if you have any extra questions. 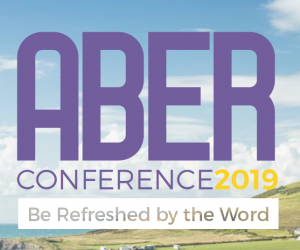 The Bala Conference – Our main conference for Pastors in June. Day Conferences – Various conferences during the year that deal with specific topics. The Church Training Days – Day events covering a range of topics for all church leaders, from preachers to youth workers, every January. Barnabas – The Leaders Training Webinars – Dealing with specific difficult pastoral issues. For His Glory – The New Pastors’ Conference – A conference dealing specifically with issues that are relevant to men who are new to the ministry. For His Glory – The New Pastors’ Days – Days to meet up for fellowship and prayer with other men who are in a similar situation. The Pastors’ Wives Conference – A conference to encourage and provide fellowship for pastors’ wives. The Pastors’ Wives Day – A day to provide fellowship and encouragement for pastors’ wives.